This past weekend I was in-between classes: finished grading finals with one and preparing to grade final projects with another and I needed a break. 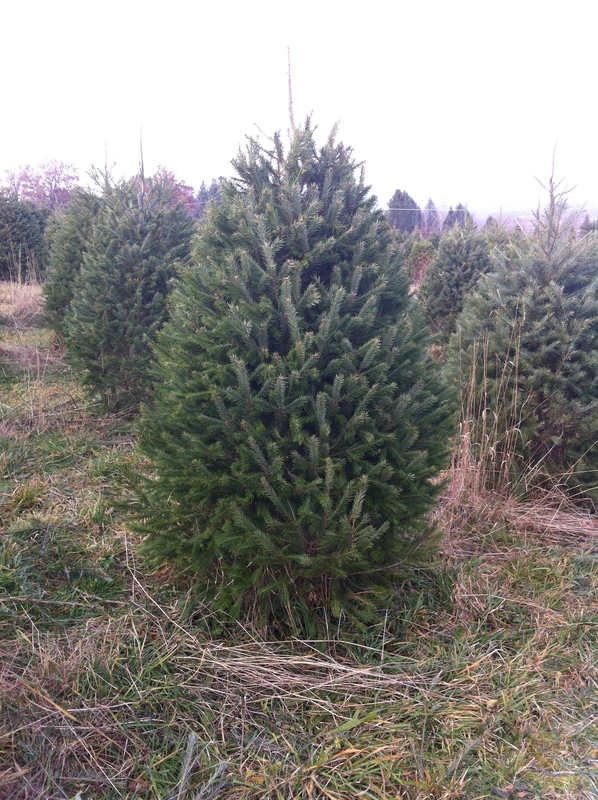 So we went to get our Christmas tree. 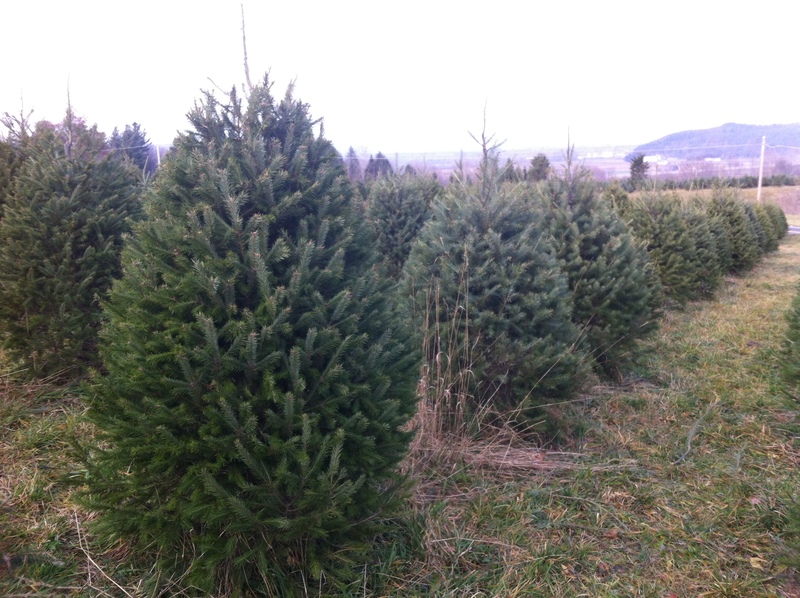 Fortunately, where we live there are many farms, including Christmas tree farms so finding a great tree is easy. 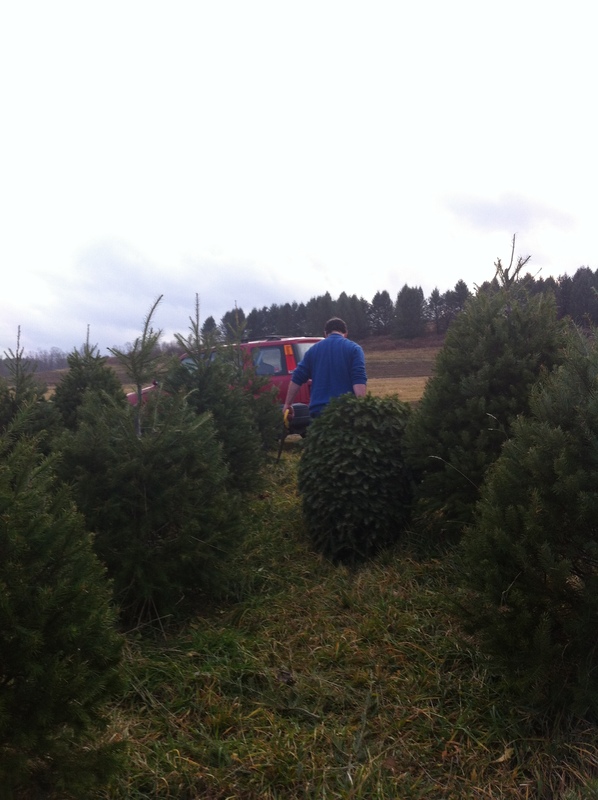 We drove less than 2 miles up the road from our house to the closest tree farm. We were given a saw and told to bring back the tree to pay for it when we were done. We were able to take Kira with us, who thoroughly enjoyed smelling all the trees and playing with pine cones. Growing up we didn’t have much choice in trees. We would go to open lots or hardware store parking lots that have a limited selection and high cost. All trees had already been dead for days and transported from the Northwest. 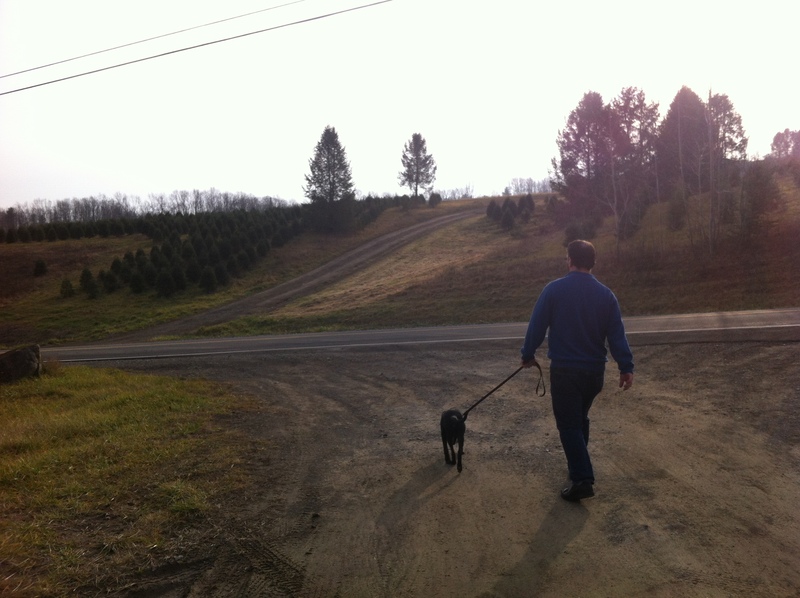 On the opposite end, Luke’s family owned a Christmas tree farm for a few years. So I am usually done searching and ready to settle for something much sooner than Luke who who enjoys the hunt for the “perfect tree”. He was even able to tell me different types of trees and if a different person was trimming a different row or section of trees than another. 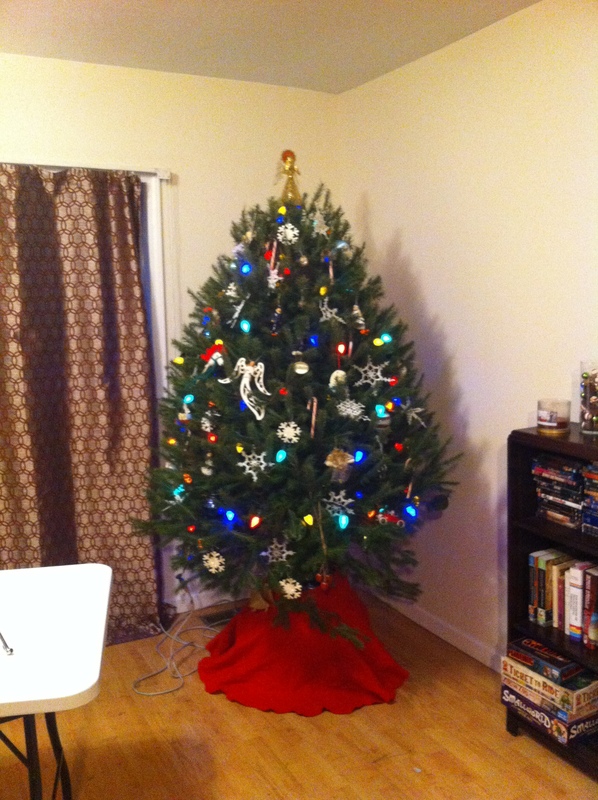 After I reminded him that this was mini-break we finally settled on a tree. 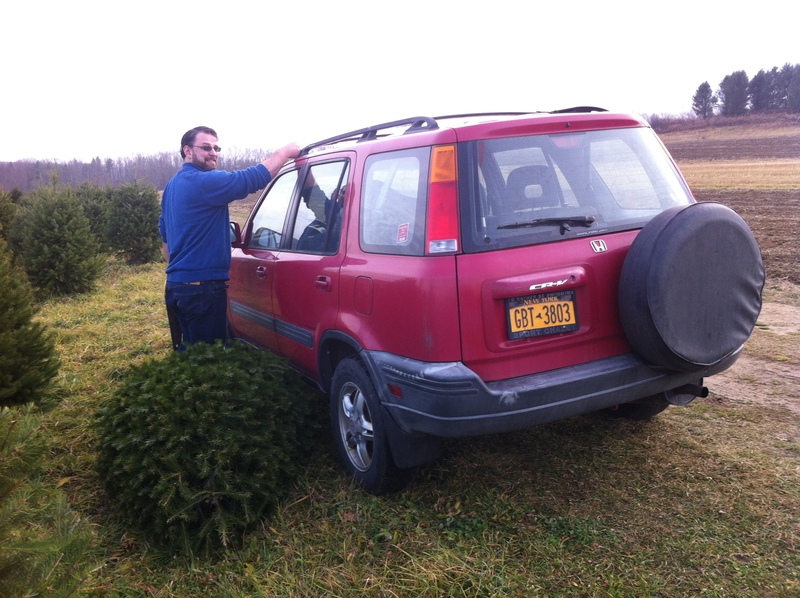 He cut it down for us and dragged it to the car. They offered to wrap it up for us but since we lived so close we just used some straps and headed home. We had it home soon after and it didn’t take long to get it decorated. This year I was finally able to use the crochet snowflakes my mom made me last year on the tree. I think they help balance out the multi-colored lights. It’s amazing how much getting the tree up and ready for the holiday makes a difference in the home-it feels like Christmas.